Hardik Patel and his supporters will stage a day-long fast in their cars in a parking area in Nikol locality. Patidar quota agitation leader Hardik Patel and 500 of his supporters will observe a fast while sitting in cars on August 19, to mount pressure on the authorities to allocate a ground for his August 25 agitation. He and his supporters will stage a day-long fast in their cars in a parking area in Nikol locality, where Mr Patel has sought permission to hold a rally on August 25. To respect the national mourning declared by the government after the death of former Prime Minister Atal Bihari Vajpayee, he and his supporters will cover their mouths with a black cloth, he said in a statement here. Earlier, Mr Patel had announced an indefinite hunger strike at this ground in Nikol area from August 25 to press the demand of reservations for the Patidar community. However, the ground was recently converted into a public parking area by the civic body. 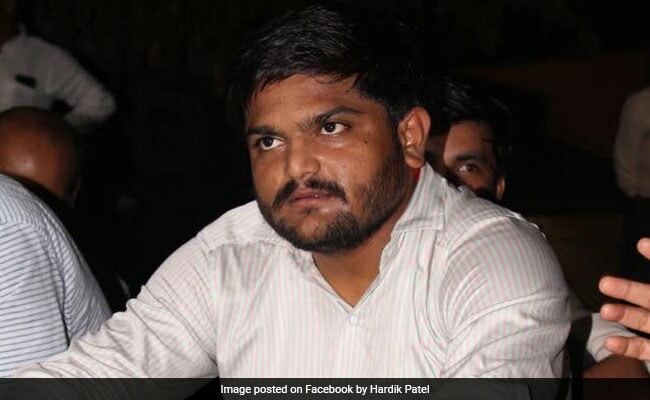 As the authorities have not taken any decision about allotting an alternative site for the August 25 agitation, Hardik Patel would be carrying out a stir in the parking area on August 19 so as to put pressure on them, said his close aide Jayesh Patel.